Tousimis is a well respected manufacturer if critical point dryers (CPD). They have been at the forefront of developing Critical Point Dryers for over 50 years and were one of the first companies to offer CPD systems. 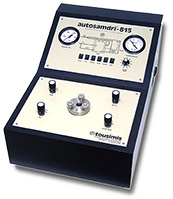 The core business of Tousimis still is development and manufacturing of CPD systems. 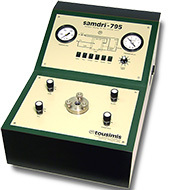 During the more than 40 years of CPD development and manufacturing at Tousimis, many unique innovations have flown into the renowned Tousimis SAMDRI CPD systems. Tousimis currently offers a choice of 7 CPD systems for microscopy and structural applications to cover a wide range of samples. Critical point drying is a process to remove liquids in such a way that the internal external structure is not damaged during the drying process. Applications for critical point drying are preparation of biological samples for scanning electron microscopy (SEM), production of aerogel, decaffeination of coffee and production of micromechanical systems. 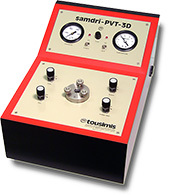 The Tousimis critical point dryers offered on this page are designed for EM sample preparation. CPD aims to prepare biological structures in their original (living) state. When biological samples are air dried, the liquid changes to gas (evaporate) at a certain rate, while at the same time the amount of liquid is reduced at the same rate. When this happens in a sample, surface tension in the liquid body pulls against any structures the liquid is in contact with. Delicate structures collapse; the sample structure is destroyed and can't be studied. To avoid this, the sample needs to dried above the critical point through the super-critical region. 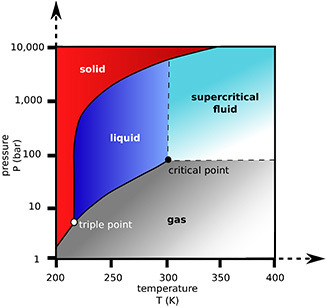 The super-critical fluid has no distinction between gas and fluid (equal densities) and therefore no liquid to gas boundary phase. CO2 is ideal for the CPD process because of the low temperature of the critical point, readily miscible with alcohol, non-flammable, non-toxic, globally abundant with low costs. 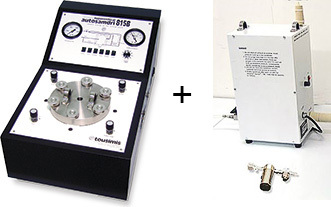 In CPD sample preparation, water in the fixated sample has been replaced with alcohol and alcohol is added to the cooled CPD processing chamber. High pressure liquid CO2 (LCO2) is used to replace the alcohol and after this the sample is completely immersed in the super-critical CO2. 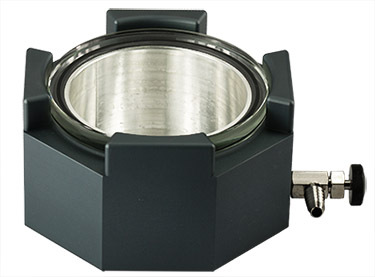 The LCO2 is then heated until the temperature goes beyond the critical point. After that, the pressure can be gradually reduced, allowing the gaseous CO2 to escape and leaving an intact dry sample. Before examining the sample in the SEM, it needs to be coated with thin layer of precious metal to make it conductive. Critical point dried samples shown great actual details and provide ample signal after coating. CPD processing often provides better imaging and allows to store samples for future investigations. These are important advantages compared to imaging with variable pressure with increased water vapour pressure.